Shaun McBride, one of the first Snapchatters to have built a massive audience on the platform from scratch thanks to creative illustrations of his adventurous feats, has just launched a new interactive series on the ephemeral messaging app. 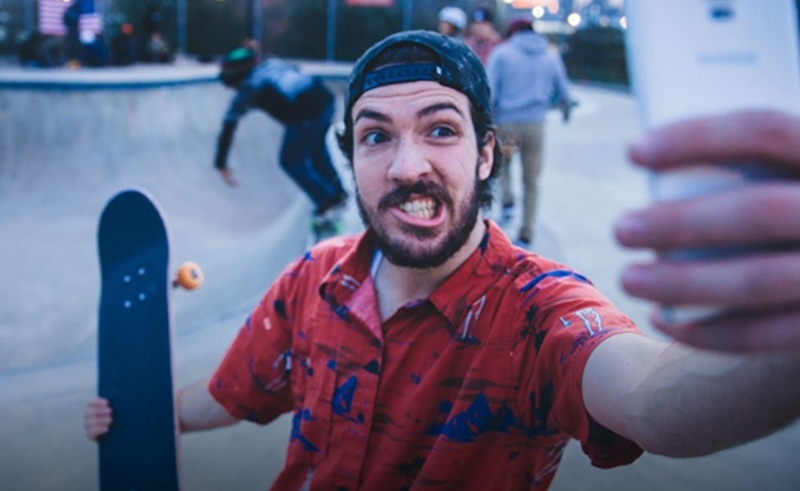 Entitled Make My Monday, McBride (who goes by the digital moniker Shonduras) will give followers the opportunity to Snap him dares every Monday morning, which he will have to complete that same day — with potential tasks including skydiving, bungee jumping, and taking a bath in cereal. McBride is launching the series as part of AT&T’s Hello Lab — a yearlong initiative in which the mobile giant will partner with 10 digital creators (like Damon and Jo and Grace Helbig) over the course of the next year to fund an array of content initiatives. AT&T, which is partnering with Fullscreen on Hello Lab, announced the venture last month, and Dare to Travel, an interactive travel show starring Fullscreen creators Damon and Jo was the project’s inaugural release. Last week, Helbig announced Writing With Grace, a weekly series in which she will write an interactive novella with her fans titled Freak Week.